The Pegasus World Cup became the world’s richest horse race in 2017, when the race was introduced by Gulfstream Park, replacing the Grade 1 Donn Handicap. Open to four-year olds and older, the inaugural running of the Pegasus offered a $12 million-dollar purse. In 2018, the purse was raised again, offering $18 million. However, in 2019, the purse was reduced to $9 million for the Pegasus World Cup and a new race has been introduced, the Pegasus World Cup Turf race offering a $7 million purse. The winner of the 2017 Pegasus World Cup was a matchup between the highly popular California Chrome and the 2016 World’s Best Racehorse, Arrogate. 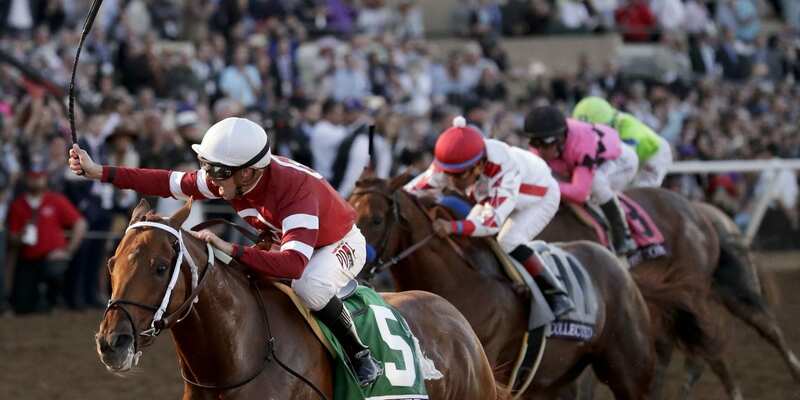 However, for California Chrome the race would not go as expected. Having possibly injured himself, he was slowed when Arrogate made his move and finished ninth. Arrogate swept to the lead to win by nearly five lengths over Shaman Ghost, the longshot. In 2018, it was a showdown between Gun Runner and rivals West Coast, Collected, Sharp Azteca, War Story, Seeking the Soul and Gunnevera. With a poor outside post position, Gun Runner broke well and moved quickly to the rail. He settled into second outside of Collected, followed by Giant Expectations and West Coast. In the final turn, he made his move and took the lead. West Coast was urged forward while Collected and Giant Expectations fell back. Gun Runner won by 2 ½ lengths followed by West Coast, Gunnevera and Fear the Cowboy. Accelerate - Ever since winning the Breeders’ Cup Classic, Accelerate has been the likely favorite for the Pegasus World Cup. This will be his final career start. Audible - The Todd Pletcher trained Audible is ready for his start in the Pegasus World Cup. The 2018 Florida Derby winner has been training hard since winning the Cherokee Stakes at Churchill in November. City of Light - City of Light could literally give Accelerate a run for his money. He was the winner of the 2018 Breeders’ Cup Dirt Mile. Patternrecognition - The 2018 Cigar Mile winner has mainly run on New York tracks. His last two wins were both wire to wire. Seeking the Soul – This will not be Seeking the Soul’s first Pegasus. He ran in last year’s race. His last big stakes win was the 2017 Clark Handicap. Gunnevera - Gunnevera is also making a second attempt at the Pegasus’ purse. The multiple graded stakes winner has earned more than $4 million lifetime. Kukulkan – A newcomer to US racing, the Mexican Triple Crown winner is undefeated in 14 starts. Tom’s d’Etat – The Pegasus will be the first start in a graded stake for trainer Al Stall. He recently won the Tenacious Stakes at Fair Grounds after an early career fraught with injuries. Something Awesome - A former claimer turned millionaire, Something Awesome is a Stronach Stables’ homebred and will make his eight-year old debut in the Pegasus. New to 2019 is the Pegasus World Cup Turf. This race has drawn some international entries and will also feature Grade 1 winners trained by Bill Mott. Yoshida - Having raced on both dirt and turf, Yoshida’s top wins include the Old Forester Turf Classic and the Woodward. He also ran fourth in the Breeders’ Cup Classic. Channel Maker - Trained by Bill Mott, Channel Maker finished 11th in the Breeders’ Cup Turf. Prior to that race, he did win the Joe Hirsch Classic at Belmont. Next Shares - Trained by Bill Mott and winner of the San Gabriel Stakes. He has won 6 of 22 starts and had 13th place finish in the Breeders’ Cup Mile. Aerolithe – Five-year-old Japanese Group 1 winner most recently ran 12th in the Mile Championship at Kyoto, but has arrived in the US to rebound from that. As a three-year-old she won the NHK Mile Cup in Tokyo against male rivals. Magic Wand - Irish-bred Group 2 winner owned by Coolmore ran fourth in the Breeders’ Cup Filly & Mare Turf. Catapult - Last finished 2nd in the 2018 Breeders’ Cup Mile. Fahan Mura - Last finished first in the 2018 Robert J. Frankel Stakes. Pavel - Trained by Doug O’Neill, Pavel’s last start resulted in a tough 15th place finish in the 2018 Champions Cup. Prior to that he finished 10th in the Breeders’ Cup Classic against very tough company. He finished second behind Accelerate in the Pacific Classic as well. His last win goes back to the June 2018 Stephen Foster Handicap at Churchill Downs. Distance/Surface Bias: Big early speed bias as 20 of 46 (43%) races were won wire-to-wire. Post Position Bias: All posts play evenly. #4 – World of Trouble is making his third start after a layoff. He’s run three straight speed figures over 100, including the highest last race number in a 13-length win at this level. #3 – Stormy Liberal necked out World of Trouble in the Breeders’ Cup Turf Sprint; however, that was at 5.5-Furlongs and the extra-half furlong helped. That being said, he’s four for four at the distance. #6 – Pay Any Price has won 12 of 17 at Gulfstream Park, including six of his last eight at the distance/surface. He’s making his second start off the bench and history says he’ll show more in round two. #1 – Singandcryindubai is making his first start for trainer Jorge Navarro, who wins at 22% in his first race with a new horse. He’s dropping from the G2 level and the step down should help keep him closer to the front. #8 – Recruiting Ready is making his first start on grass and his second start off the sidelines. If he can bring his dirt form to the turf, he’ll be dangerous. It’s not an angle trainer Stanley Hough uses often. With more of a track record, we would have rated him one slot higher. #2 – Oak Bluffs is making his third start off a layoff. Trainer Mary Eppler wind third starts at 20%. He should be at the back of the pack and will pass tired legs late. He’ll probably need most of the pack to drag race and an opening quarter under 21 to have a shot at the W.
Early Race Outlook: PAY ANY PRICE looks like he’ll be the fastest out of the gate. He’ll be challenged by WORLD OF TROUBLE. BELLE TAPISSERIE will try to keep up but hasn’t faced the sort of speed in that is in this race. STORMY LIBERAL will likely be right off the early pace, staling the leaders. The Play: STORMY LIBERAL and WORLD OF TROUBLE battled it out in the Breeders’ Cup Turf Sprint. LIBERAL got the best of TROUBLE by a neck in the final strides. Today’s shorter race could keep TROUBLE stay in front. PAY ANY PRICE Is a horse for the course, distance, and surface, winning six of his last 5-furlong, Gulfstream Turf races. SINGANDCRYINDUBAI is making his first start since November 24th. His workout line is filled with bullet dots, suggesting he’s ready to run. Get the remainder of the guide from the Gulfstream Park picks section of the Guaranteed Tip Sheet website and best of luck on Pegasus Cup Saturday!